On January 7th, an attack occurred in Paris, at the office of Charlie Hebdo, a French satirical newspaper. Terrorists killed 12 persons, among which were cartoonists, journalists and policemen, and wounded 10 others. Since then, the world is shocked and beyond the borders of France, people react and share their emotions. The words “Je suis Charlie”, French for “I am Charlie”, have been used by people to pay tribute to the people killed and to show support to the newspaper. Many people have replaced their profile picture by a black image with these words. 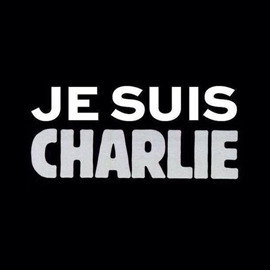 At eYeka we are Charlie too! We believe creativity has amazing powers. Since the beginning we give a voice to all creators and today we'd like to allow you to express your feelings about freedom of speech, about free press and about how creativity can set us free. In a drawing, a cartoon or a poster, share with us your thoughts and feelings about the freedom to create. There is no prize money to win. This contest is the opportunity to share your thoughts and fight, pacifically for something we all believe in. We will send your images to Charlie Hebdo, to show them your support. We will also publish the best ones in a dedicated post on social networks. Upload your entries before January 18th! So set your imagination free and create, because that's what we do best!